Providing you the best range of Processing Machines such as Poultry Feed Pellets Extruder, Uruli Roaster, Kurkure Making Machine, Moisture Mixture For Corn Grit, U Type Blender & Mixer, Banana Chips Processing Machines and many more items with effective & timely delivery. 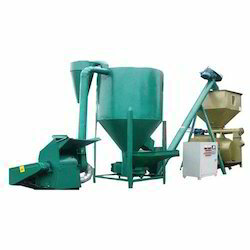 We have high specialization in manufacturing and supplying supreme quality Poultry Feed Pellets Extruder. 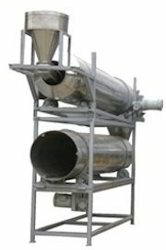 It is widely demanded by poultry farms to process solid grains into small feed pellets for chickens. Operates on a powerful motor, this machine is developed from rugged steel sheets to render a longer functional life. We are reckoned as prominent manufacturer, supplier and trader of supreme quality Uruli Roaster. Used for mixing and roasting grains, rice, wheat, coffee beans and spices, this machine is equipped with aluminium uruli with attached stainless steel flame and powder guard. Our offered roasters are equipped with fuel tanks and pressure gauge, making it suitable to use with kerosene and LPG. Our prestigious clients can avail this high performing roaster from us at market leading price. With the aid of our highly experienced professionals, we are instrumental in manufacturing and supplying Kurkure Making Machine. Most suited for food processing industries, this machine continuously cooks expanded snacks with its powerful food extruder mechanism. This machine is developed with compliance to GMP standards and operates on AC motor that can be availed in various power specifications along with gear box. We have gained huge success in manufacturing and supplying high in demand Moisture Mixture for Corn Grit. This machine plays the most significant role in a food processing plant. It efficiently mixes water and raw material with the help of its ribbon blender type moisture mixer technique. This machine is developed from 304 grade stainless steel and operates on a 2hp electric motor. We have gathered huge recognizance by manufacturing and supplying highly durable U type Blender & Mixer. Widely used for mixing grits to all types of snacks, pallets and feed, this machine is best suited option to be used at commercial kitchens for preparing all types of fryums. Operates on a double pitch roller chain driving mechanism this high performing machine is available at the best market price. We are among the leading manufacturers, trader and exporters of a wide range of high quality Automatic Cashew Processing Machinery. Available with us industry leading prices, these cutter are highly appreciated for their energy efficient design, low cost of maintenance and excellent performance. Offered cutter undergo various quality assurance procedures in order to ensure a zero-defect range. Zigma International is one of the preferred choices of our clients for manufacturing, exporting and supplying Amla Candy Processing machines & Amla Jiuce processing Machines. Made available in a varied range of specifications, in these efficient food-processing machines, only seeds are separated without cracking. The proffered selection can process both small & big size amlas and requires an extra dye set. We manufacture and exporters of corn puff snack extruder, cheese balls puff extruder, puff snack extruder, puff food extruder, corn curls extruder, inflating corn snack extruder, extrusion machine, screw extrusion, Screw shape corn puff extruder, corn extruder machine, snacks extruder, corn flour snack extruder machine, small snacks extruder, maize extruder, extruders cheese snacks, pasta extruder, food extruder, puffed rice extruder, puff food extruder, rice snacks extruder, rice vermicelli extruder, rice crispy extruder, etc at industry competitive prices. Our organization plays an important role in offering Fryums Snacks Extruder. We hold specialization in providing Commercial Peanut Roaster to the clients. 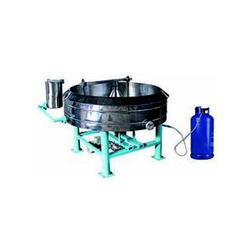 Commercial Peanut Roaster is manufactured at widely driven manufacturing unit using the finest quality raw material and advanced technology according to the set industry norms. This product is stringently testified by our quality inspectors on various quality parameters to ensure best quality product delivery to prestigious patrons. Offered range is acclaimed by customers for dimensional accuracy, high quality and optimum design. 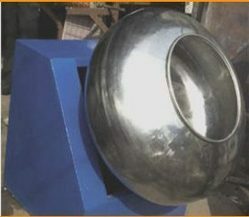 We are manufacturers & Exporters of Coconut Shell Crusher Machines. We are qualified manufauturer of desiccated coconut powder plant, Coconut Milk Extractor, Coconut peeling machine, Coconut Milk Powder Making machine, Coconut powder grinding machine, Coconut Milk powder Packaging Machines. The facility manufactures chips under the brands Lay’s and Ruffles potato chips, Fritos corn chips, Tostitos and Doritos tortilla chips, and Cheetos cheese-flavoured snacks. High yield, low broken millet rate, purified end products, even granularity. 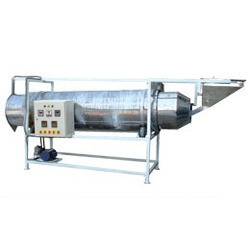 It has automatic pulse dedusting system which is sanitary, has low noise and has no pollution. Electrical control system is equipped with overpressure, undervoltage and electrical shock protection system to ensure the safety of the electricity. Light hulling for many times to decrease millet breaking rate and increase total purified yields of epigranular kernels, reaching national standard. Having sanitary and secure auto pulse dedusting system with noise pollution. Milk Pouch Packing Machine is available in various technical specifications to meet the diverse needs of the clients. Provides ease for packaging various milk products smoothly at very fast rate and is assembled using optimum quality components and advanced technology. The offered machine requires less maintenance and convenient to install without any hassle.